I know moms can relate to this when you are caught up with the busy schedule at work then you still need to plan for your kid's baptismal souvenir. I know what your thinking, yes best in cramming! Ha Ha Ha! But it's that time when creative juices will come out unexpectedly. That's what happened when I was thinking for a souvenir for my daughter's baptismal. Initially, I wanted something made by hand or anything DIY. You can check the DIY Cupcake Towel Souvenirs that I made for my twins. At first, I planned on doing crochet keychain dress but yeah, I am no supermom. So there is no way that I can make several pieces in just 1 week. This time, I made something that takes no effort at all! Yes you heard me right! 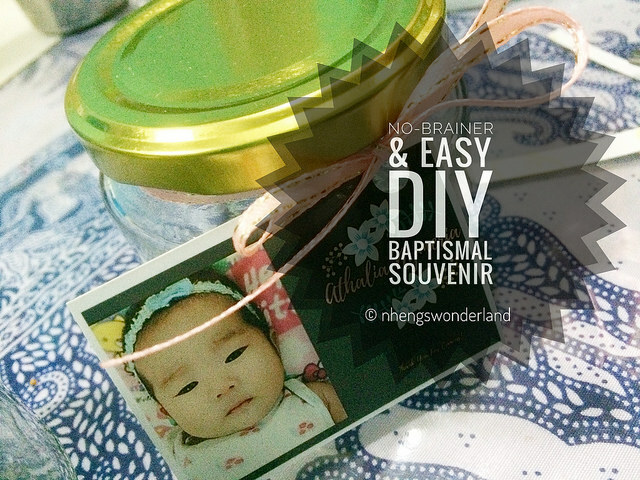 Here I'll show you a No-Brainer & Easy DIY Baptismal Souvenir. 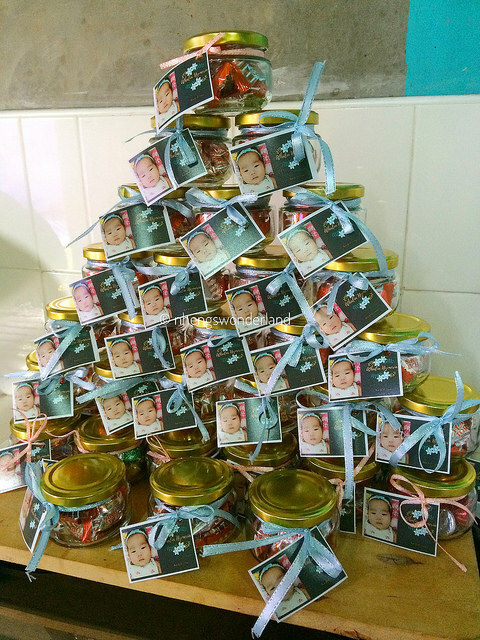 I then decided to have this cute jar as a giveaway/souvenir for my daughter's baptismal. 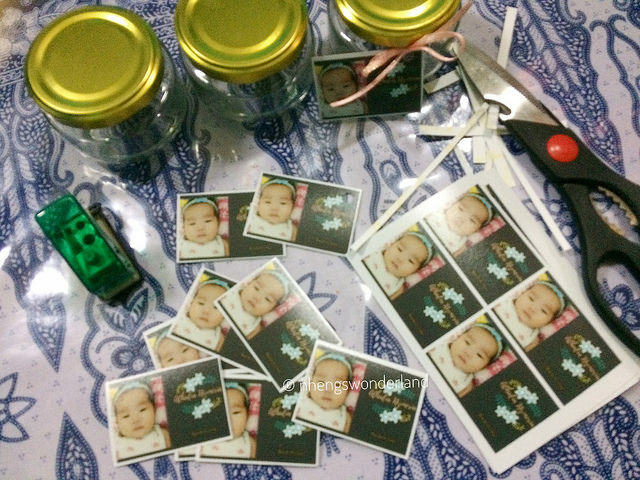 The steps are, cut the pictures for the tags and put it on the ribbon. 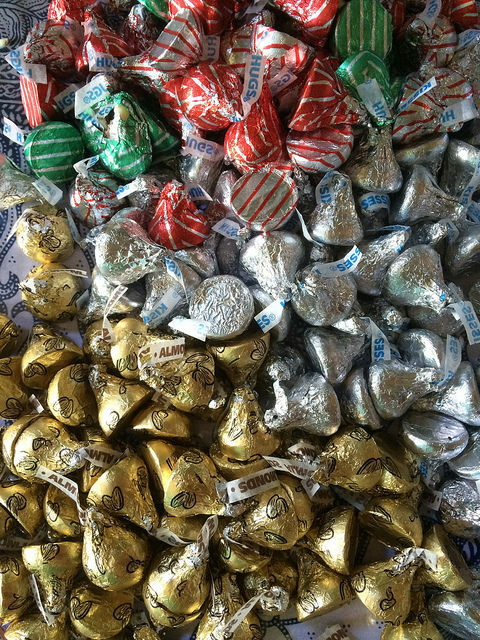 Knot the ribbon around the glass jar and put kisses inside. That easy! Yeah No-Brainer at all! Designed the thank you tags pictures via Canva. The glass jars costed about P13+ each and it is much affordable if you buy one box that contains 12 pieces. And here is the final outcome. I love how it turned out and I hoped our ninongs and ninangs love it too. I always go with something useful for a souvenir because I am not really into the display souvenirs. 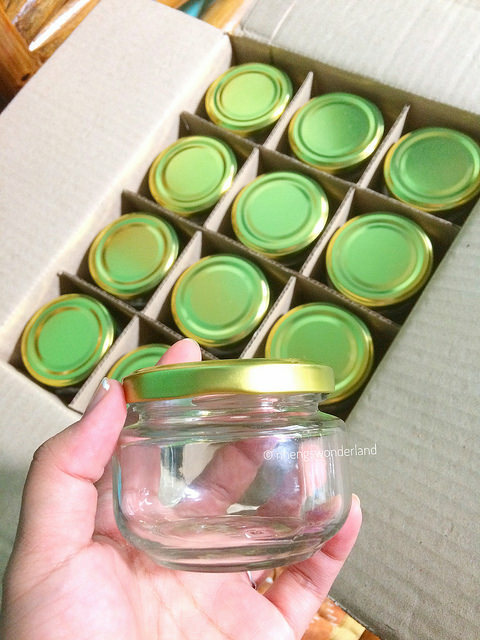 I am sure that they will be able to use the glass jars and it will remind them of our daughter's simple baptismal.